I know I know I am a week late with this post but I didn’t manage to finish it until now due to all kind of silly reasons. In the whole past week I could read from so many bloggers how they celebrated New Year so here I go with our tiny “party”. This was the first time since 2013 that we actually celebrated again as we had just no time for the past years. Even before that we usually never did anything special so we always ended up watching the CCTV New Year Gala. Only once we participated in some bigger event and it was just a few weeks after we got together in 2010. Back then we went to the Chinese New Year Festivities in Helsinki. Let me just tell you that it was very very cold back then and not the most enjoyable experience I had in my life (due to the weather!). A couple of years ago I even wrote a little blog post about it which also shows that not much (nothing) has really changed on how we spend New Year. So what happened this year? First of all we kind of messed up the actual date for the New Year. My wife and all her Chinese friends here in town thought it would be on Saturday the 06.02.2016. Imagine the surprise when my wife heard from one of her customers on that Saturday that there won’t be any New Year Gala as it wouldn’t start until Sunday… this shows pretty well what living abroad for so many years does to someone when it comes to such big festivities. Anyways after a disappointing Saturday we started Sunday with preparing for the overeating day. My wife prepared several dishes while I was busy entertaining our little Monkey/ Nathan. Pictures were taken, food was enjoyed, the CCTV New Year Gala was watched and many video chats had to be endured during that day. As you can see it was a pretty calm day for us especially as my wife didn’t had to work and thus we spend the entire day together. Besides that Nathan was finally able to wear some of the clothes my wife bought for him in China last year. Only bad thing about the dress was that the hat didn’t fit anymore, Nathan just got too much brain inside. For the next year I hope that we will be either able to travel to China for this event as I would love to witness it once in my life personally or to celebrate with other people together. Sure it is nice to spend the whole day together as a family but to have some bigger gatherings once every few years wouldn’t hurt either. Do I really have to stand here in these weird clothes? Where there some Lunar New Year events near your home? Today it is time for the first Guest Post of the year on this blog. As there is so much talk all over the other blogs about one certain topic we shall join the party and thus this Guest Post will be all about the Chinese New Year! Of all Chinese holidays, Chinese New Year, sometimes referred to as the Spring Festival, is the most important. It is a celebration of prosperity, tradition, family, and good will. If you want to learn Mandarin, the following phrases are a good start. This wish for prosperity is typically only used during Chinese New Year. The greeting is offered before gifts or lucky money is given by the host. This is the same generic greeting that is used during New Years in the West. It can be used as a greeting, a parting phrase, or both. This greeting is offered to students of all ages to wish them well with their studies. This greeting is offered to business owners for prosperous business in the year to come. It is typically reserved for business owners that you know personally. (5) 龙马精神/龍馬精神(long ma jing shen)-“Spirit of Dragon and Horse” This greeting is used to wish an elderly person the energy of a horse and the longevity of a dragon. This greeting is a wish that the year to come will go according to the desires and plans of the recipient. This greeting is a wish that the person will achieve anything they want. There are a variety of traditions observed during the Chinese New Year. These vary by location, though there are a few traditions that are nearly universally observed among Chinese people the world over. Spring cleaning – Before the holiday, people thoroughly clean their homes and change their ritual decorations. Red paper bearing 4 character auspicious sayings are hung in pairs surrounding the doorway. Dinner – The night before the holiday calls for the extended family to sit down together for a large meal. Traditionally, the meal is hosted at the home of the family’s oldest living patriarch. This is such an important meal that some Chinese will travel long distances. Visiting – Many Chinese people spend the New Year holiday visiting relatives and close friends. Gifts are typically exchanged and lucky money may be given in small red envelopes. Parents give the envelopes to unmarried children, and in some regions, lucky money may be given to extended family or unmarried friends. 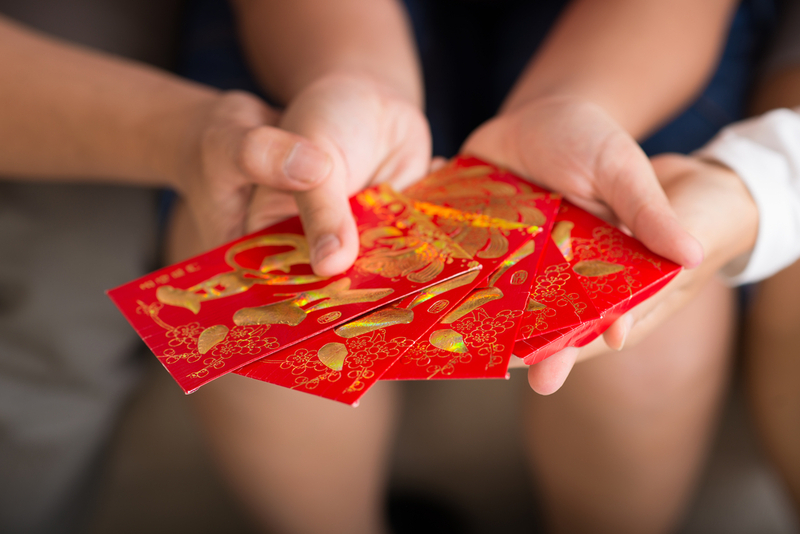 Children or others who may receive lucky money will greet the host with gong xi fa cai (bless happiness, and prosperity) while clasping their hands and moving them vertically. Remember different areas have their own special New Year stories and legends. Wish you have a happy Spring Festival. For more Chinese learning tips, you are welcome to visit our blog Learn Mandarin Now. How will you spend this New Year?